Action packed free ride, boosting to the moon, air style, speed, hydrofoil or twin-tip racing - the Edge V9 delivers high performance that is incredibly addictive. The Edge has a unique pedigree, well known to pack a serious punch! 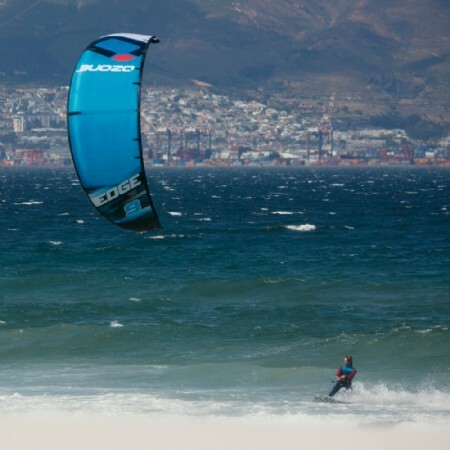 The latest version takes it to the next level - an explosive high adrenaline freeride machine that will leave you in withdrawal after every session. True addiction comes naturally with the Edge V9, the heavy hitter with an honest high! We have completely re-worked the bar feeling, with the balance between front and rear line pressure optimized for feeling and improved pitch control. 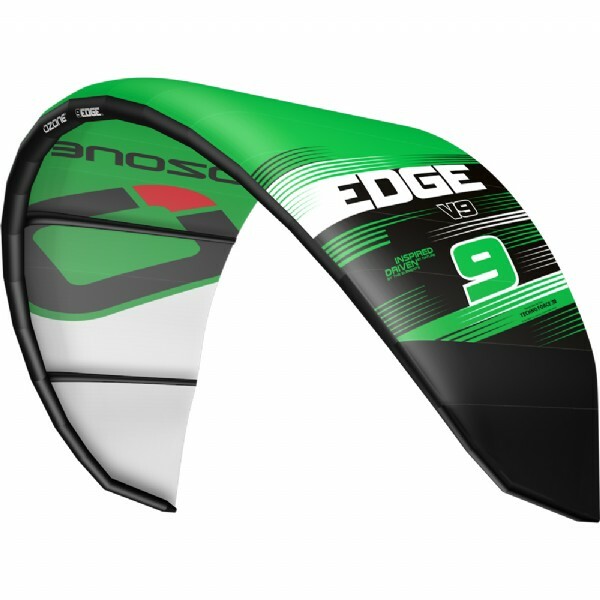 Riding the Edge V9 you can easily sense where the kite is at any time, the entire bar throw range offers a progressive feedback feel making it turn faster and easier to time the take off for going massive. Continuous curve struts means we have higher levels of control over sail tension and reduced sail luff through the angle of attack range, giving a smoother ride with less bar bounce. The airfoil section has also been slightly modified for increased hang time, a small refinement but very noticeable in the air. The re-shaped wing tip section combined with re-positioned bridle attachment points increases drive in the turn and enhances load distribution for the leading edge. 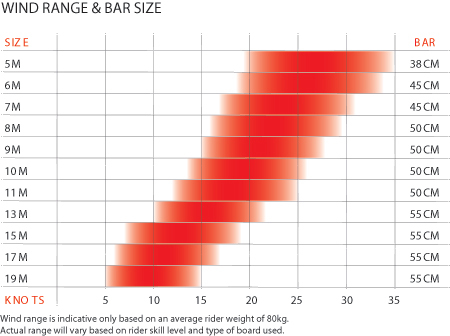 This directly translates to all-round high performance given any style of riding, all while going fast! 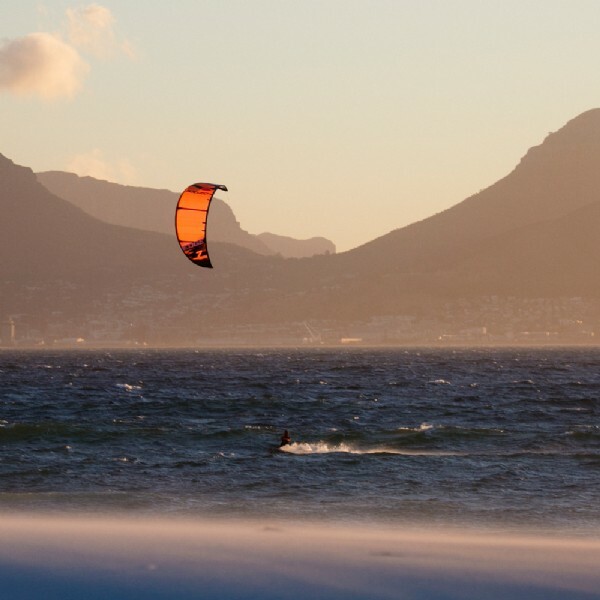 On any type of race or speed course the Edge V9 has a serious performance advantage – warp speed riding at amazing angles will have you clear ahead of the competition. Our unique low-drag pulley-less bridle system using high performance Kevlar line is 50% thinner than our standard bridle line, resulting in a vast reduction in parasitic drag increasing acceleration and range. 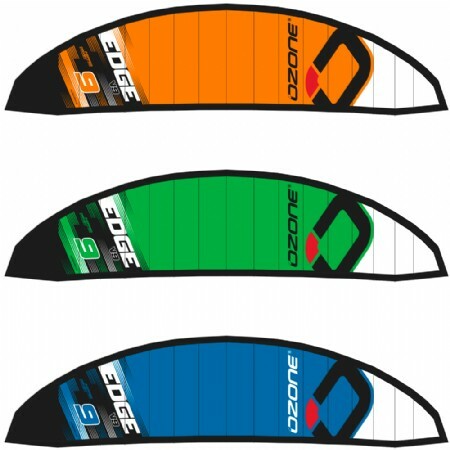 Combined with the Race Control System and Race Flying Lines the Edge V9 truly is the leading performance LEI package. On the SNOW! Yes that’s right, the Edge V9 is possibly the best inflatable kite in existence for taking advantage of the cold white stuff. Its got speed, power, and the best attribute is how easily you can get air - all you have to do is gain speed, edge hard and send it! Teijin TechnoForce D2 & Teijin Dacron - Teijin is the world’s leading supplier of polyester fabrics and sail materials for marine sports. 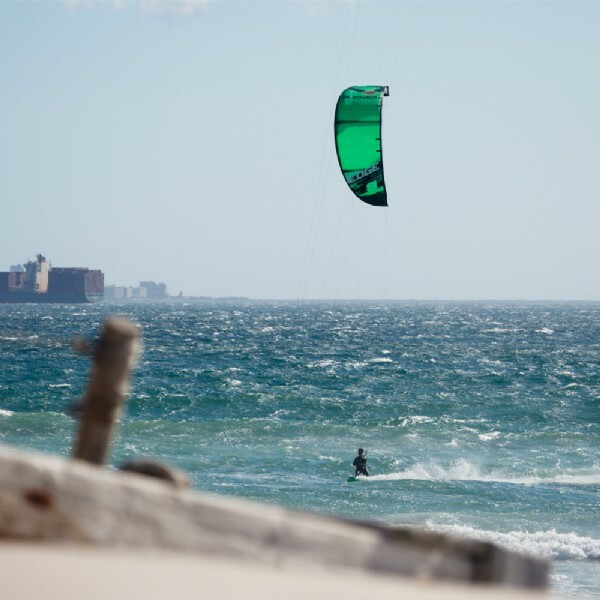 We use the remarkably durable Teijin D2 canopy material in all our water kites. Teijin D2 is the benchmark in quality with proven superiority in durability and dynamics. We use the incredibly strong and reliable Teijin Dacron in all our water kites. Dacron is used on parts requiring rigidity and stability – the Leading Edge, Struts, Wingtips, and all loaded areas with extra reinforcement for enhanced load distribution and durability. 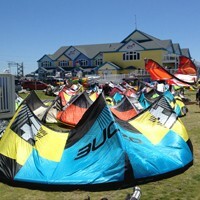 One-Pump Inflation System - The One Pump inflation system enables quick and easy setup with single point inflation of the kite. All Struts are connected to the Leading Edge via inflation points – air will flow through the hose to inflate the entire kite. Clips seal the hose connecting the Struts and Leading Edge to prevent unwanted airflow in case of damage. Back-line trimming options - Customize your handling and bar pressure with the back line bridle attachments. Closer to the Leading Edge for slower turn speed and more bar pressure, or closer to the Trailing Edge for faster turn speed and less bar pressure. 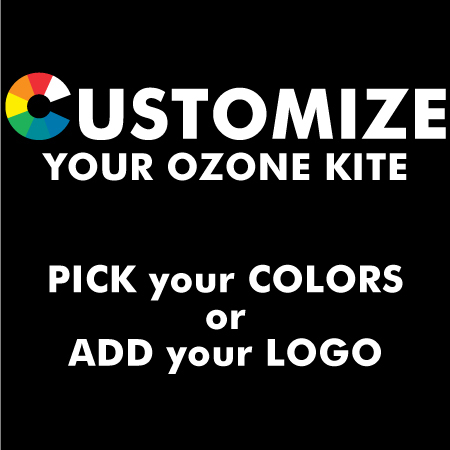 Internal reinforcements - What’s on the inside counts too – All Ozone kites are internally reinforced for improved strength and durability; such as a Double layered Dacron + Insignia taped Leading Edge closing seam with high strength threads. Reinforced Trailing Edge - Double layer Teijin D2 Trailing Edge strip with an internal light weight Dyneema reinforcement – this reduces canopy wear and helps to maintain optimum Trailing Edge tension as designed. The Dyneema line also reduces any potential stretch at the Trailing Edge.